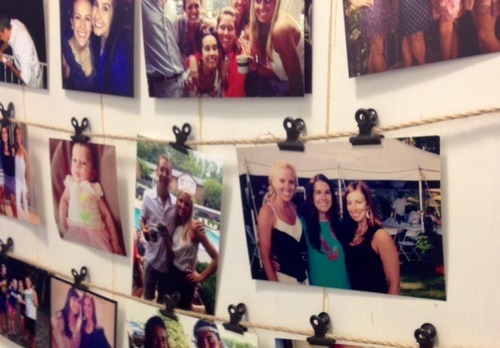 Here is a simple yet stylish photo frame that can accommodate tons of photos at once. The idea is super simple. 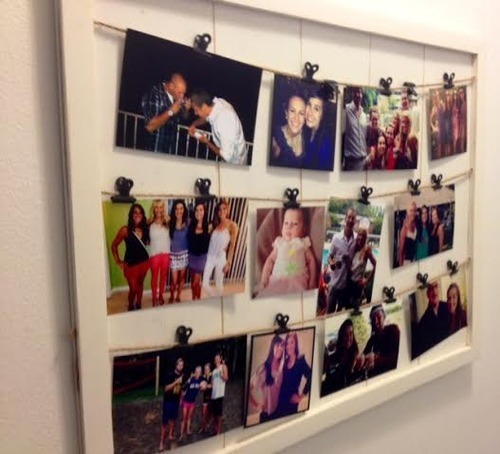 Fasten twines on an empty frame and hang photos using clothes pins or the clips below. 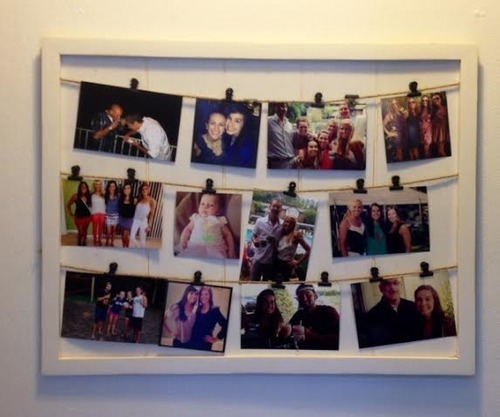 You can use a frame you bought or a frame you made by yourself. Yes, this is as simple as it sounds.